I heat embossed the stems, leaves and flowers with gold embossing powder and lightly inked them with yellow and green, then I added a little bow of yellow and green and backed it on some sparkly gold cardstock. The base card was a bright yellow and it seemed a little too much when I was finished, so I clear embossed a few blossoms to break it up. Jo Ann, this is lovely! I've never seen this retired set before - what a great set it is. Love your cheery yellow too. Thank you for joining us at Retro Rubber Challenge this week. Don't you just love using your old stamp sets? 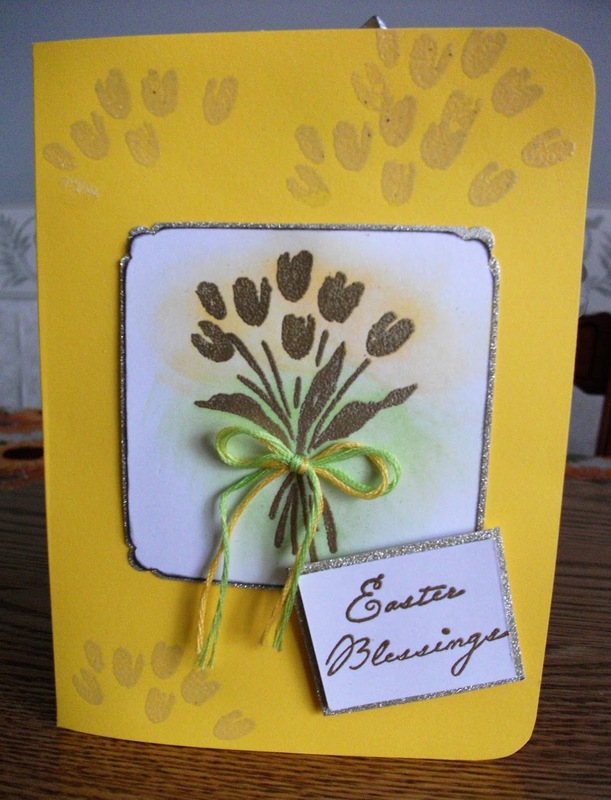 This one came out before I started stamping but I bet it's beautiful just by looking at the sweet bouquet of tulips on your card, love the gold embossing and the sweet little bow holding them together. 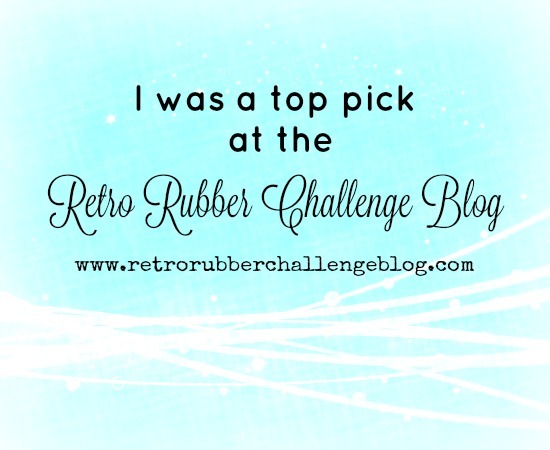 The RETRO RUBBER CHALLENGE is exactly what we need to play with all of our old and retired sets that we love so much. I'm so very happy you found us Jo Ann, I hope you continue to play along with us in the next challenges. This is so pretty, I do remember this set and so happy that you "dusted" it off to make some Easter cards! So glad you shared this with us at Retro Rubber! Now that I am retired, I can do some of the things I have had a yearning to do but either did not have the time or else the energy to do. I like to write, and that is reflected on My Retirement Desk. And I am a craft "wannabe." I work on honing my skills in papercrafting. However, my greatest pleasure comes from sharing cards and mini albums with others.